GPPs (Guaranteed Prize Pools) - GPPs can be summarized as a prize pool that is guaranteed. These are the only tournaments that you will be able to identify overlay since the game will be played even if it does not fill. There is a misconception that GPP is only tournaments. That is incorrect – a GPP can be a tournament but can also be a Double Up, 50/50 or League Game as well. Multi – Entry Tournaments – These games are large tournaments with hundreds to thousands of entries. The prize pool is divvied up among the top 20% of finishers, but the payouts are scaled heavily to the top 1% of finishers. The key understanding of these tournaments is that many “Pros" and yourself will be able to enter in multiple lineups to hedge your players. Single-Entry Tournaments – These games are much smaller scaled tournaments, naturally, due to them only allowing single entry. H2H – Head to head games are games including yourself and one other opponent. Leagues – Leagues will typically be categorized as 3/5/10 Man games where X% is paid out. For a 3 man it will usually be winner take all, 5 man the top 1 or 2 will be paid and 10 man typically top 3. Note that prize pools as well as size of league can be different based on site you play. Qualifiers – Qualifiers are tournaments used to win a ticket to a larger tournament. They are typically very top heavy depending on entry and winning ticket. For example a $1Q may have 110 entries that pays out a $100 ticket for first place – no other prizes. These are extremely volatile games. 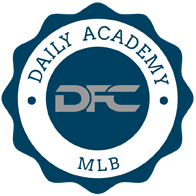 Now that we have covered the most commonly played DFS, we will touch on our MLB Strategy for Each. H2H, 50/50 & Double-Ups are very commonly referred to as Cash Games. Cash Games are considered the staple of most bankroll strategies due to the “less" volatile nature of it versus other games. As will be shown below, all other games pay less than 30% of the field. This means, on average, you have a 1/3 shot of cashing. In a Cash game, you theoretically have a 50% chance of cashing. Given that the cashing rate is significantly higher in this type of game – you will want to construct your lineups according to this. Ask yourself – If I am playing in a game that pays top 10% of Field or Top 50% of Field, does my lineup strategy change? In a 10k you must pace yourself and not sprint at such a pace that the rest of the field catches you. On the other hand, in a sprint you must run as fast as you can from the start to have a shot at winning. YOU ADAPT TO THE GAME BEING PLAYED. In cash games we must adapt to this as well – 50% of the field is being paid, therefore we must create what is commonly referred to as a “High Floor Lineup". A general rule of thumb is to create a safe lineup by targeting safe players. The easiest way to raise your floor is to pay for consistent & elite pitchers. Pitchers throw 100+ pitches in a game to gain their edge while hitters get 3-4 at bats. Over the course of the season, pitchers are significantly easier to predict and target than hitters. You will first want to review Vegas odds and write down a range of pitchers who are in low total games or are a significant favorite. The reason for this is finding safety amongst our pitchers. If we are selecting pitchers in high total games, it means runs will be scored and our pitcher likely won't go deep in the game. We also want to target pitchers versus ground ball hitting teams or strikeout-happy teams. At its core, when selecting pitchers you ideally want an elite pitcher versus a weak team in a game with a low Vegas total. When selecting hitters your strategy is completely different. You will want to still look at Vegas odds, but instead target hitters in high total games. High total games = Runs = Fantasy Production. It isn't as simple as looking at just batters from a game. You will want to review splits for each player versus the handedness of the batter. The statistics I recommend starting out with are: wOBA, ISO, wRC+ and LD%. If you are targeting hitters who score high in those categories, you are off to an incredibly high start. The second way to increase your floor is to simply target players in games that do not have weather concerns or injury concerns. This may seem funny, but losing a hitter due to a weather cancellation can create unnecessary volatility in your cash games. The third way to increase your floor is to constantly check lineup cards. Batters in the top half of a lineup have a significantly higher opportunity of getting up and, inherently, getting fantasy production. Example - .300 hitter that bats 2nd versus bats 7th. While this 0.3 difference may seem slight – when pairing this small edge with eight other hitters you are increasing your lineups edge by ~2.4 Hits Per Game. While this is a very linear example – it goes to show how small edges can give your lineup an increased floor through player selection. Ultimately we are trying to increase our entire fantasy teams at-bats. However, to increase at-bats we must do this on a player level. So how do we increase each of our individual players at-bats? The final way to raise your floor is to not just target a specific hitter in a plus individual matchup. Instead, look at the hitters around your targeted player. If you have four-to-five hitters in a lineup with strong statistical evidence of a good game versus two, it is highly likely the first team will inherently get more at-bats and ultimately more times around the batter rotation. 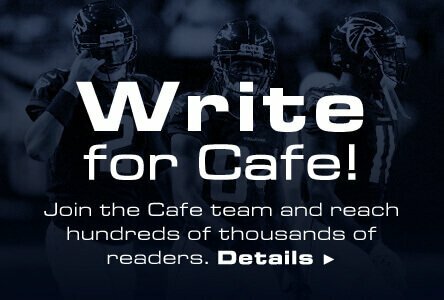 If you follow the above methodology along with Daily Fantasy Café articles you will be well on your way to a winning cash game player. Tournament Strategy isn't going to differentiate much from the statistics and targets we will be looking at. However, our goal will be to increase our volatility. Tournament strategy shouldn't be focused on min cashing. Your goal should be to WIN Tournaments. Our min cash in the moonshot is $6.00, essentially doubling our money for a 20% finish. If this tournament had the same payout and prize pool for 30 straight days and you min cashed every single day, your win rate would be 100% and your profit would be $3 X 30 Days = $90 Profit for a 100% Win rate. What if on day 30 you have yet to cash a lineup in the tournament, but you end up winning moonshot on last day for $10k? You have a win rate of 3%, yet a total profit of $9,910.00. WOW. How can it possibly be that you have a 100% win rate that profited less than a 3% win rate? This is the nature of the beast – aka Tournaments. They are top-heavy prize pools that cater to players playing a boom or bust strategy. *Note if you find yourself min-cashing frequently you are likely constructing your lineups to more of a cash game strategy and should focus on those games. Take everything you read up top under cash game strategy and place it under a microscope. You will still be focusing in on vegas totals, quality pitchers, line drive hitters, quality batters etc, but one key difference – YOU WANT EXTREME volatility. How to Generate Volatility? STACK. When we talked earlier about raising your floor – those similar strategies can also be used to raise your ceiling. However, we must be much more extreme in these cases. We want player synergy and correlation amongst our players in a lineup. The greatest and most proven method of doing this is through stacking – taking multiple batters from a single team and playing them on your DFS lineup. Check with your specific sites rules, but to maximize your upside as well as volatility you will want to use a maximum stack. If six players is allowed, then six is the most volatile. If five is the max, then that is the most volatile etc. Essentially you are creating a team that works well together and benefits when others do, therefore creating maximum points. If you decide to stack three games with two-to-three players from each game, it doesn't necessarily mean Team 1 will be as successful as Team 2 or Team 3. However, if you stack (1) Team with six batters from that team and they are the highest scoring MLB team of the day, you will be making lots of money due to scoring on almost every run/hit/RBI etc. Essentially, your GPP research and Cash Game Research are very similar. The difference is in the way you construct a lineup. *Note: Not one single type of stacking strategy can be considered most optimal on a day-to-day basis. The best knowledge we can provide is that a maximum allowed stack increases your volatility and upside. When entering a GPP lineup, look and decide on your own what is the MOST EFFECTIVE/UPSIDE lineup possible and play that. Just note that very frequently a stack should be involved. The final and other important aspect of GPP success is ownership percentages. If you have two stacks, one that is very popular and 50% owned, and a stack that is 1% owned, which is the better GPP Stack? One might say, well the one that wins! Yes, in short that may be true, but let's look at this in theory. Stack 1 = Approximately 500 similar entries. Stack 2 = Approximately 10 similar entries. Scenario 1 – Stack 1 is the highest scoring stack of the night and 50% of the field is eliminated, however, you are now competing with 50% exactly like you. Scenario 2 – Stack 1 does extremely well, but Stack 2 does as well. You are now on an even playing field and likely have unique lineup construction. Scenario 3 – Stack 2 outperforms Stack 1 by a small margin. This scenario will be likely but puts you slightly ahead of 50% of the field. Scenario 4 – Stack 2 outperforms Stack 1 significantly and is the highest scoring stack. Scenario 4 is our Goal. We want to have winning stacks, not common stacks. Yes, you will lose more than you win, but your wins will be much larger. Incorporating this into our Boom or Bust strategy “fading the chalk" is an excellent GPP Strategy. This leads to you possibly targeting a solid pitcher in a hitter-friendly ballpark or a power hitting team versus a solid pitcher. Remember, we are selecting athletes and not everything is 100% predictable. Embrace this volatility and create high upside, immensely unique lineups to generate large profits. As provided, leagues have a cashing rate of typically 30%. That puts its volatility in-between a Tournament and a Cash Game. That is exactly how you shoul d be constructing your lineups. Using a hybrid strategy of Cash Game Lineup and Tournament Lineup. As provided, a Qualifier game has a cashing rate of typically 10%. This is the most volatile type of game that can be played, and one must incorporate extremes. You will want to have the highest upside stacks to score the most points. This allows for lineup creation to become creative – maybe you decide to take a min salary pitcher and do two-to-three team stacks with only their power hitters. Maybe you decide to take two stud pitchers and pair them with the bottom order of the Rockies. The most important concept to remember is that “if you aren't first, you're last". Play for first place and accept and embrace the variance that will follow. Now that you know your game strategy and basics to construct a lineup, get out there and win some DFS Games!